Hob. Time: 9-11 minutes. 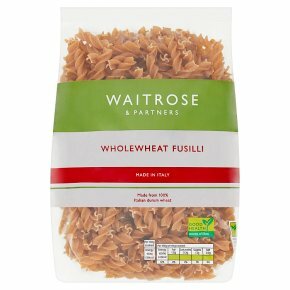 Allow approximately 90g dry pasta per 180g cooked serving. For best results, place pasta in a saucepan of boiling water, boil for 9-11 minutes, stirring occasionally. A shorter cooking time results in a more "al dente" (firm) texture. When pasta is cooked drain immediately and serve.